Happy Thanksgiving, quick book notes. Happy Thanksgiving, everyone! The late Benazir Bhutto's book about reconciliation is one of the many reasons I am grateful today. I feel grateful for many gifts in my life. Most basically, I am grateful for a wonderful family and circle of friends, a sense of wonder and spirit and purpose, meaningful work, a clear mind that allows me to read, think, admit error and learn, a sturdy constitution and good health, and financial sufficiency. I’m also profoundly grateful for the slivers of experience and memory that I have each day that remind me of what life is about: love, shared connections with other people, working for a larger cause, and trying to make the world better than it is now. This blog has been a major project for me this year, and I am extremely grateful to all of you who have clicked on, commented, or in some way joined the conversation and community we are creating together. The first day I blogged last December, seven people looked at what I had put up and written. For the past eight weeks, it’s been just about 1,000 people per day. This is a shared venture of the heart in every way, and I want, on this day of giving thanks, to thank all of you who have joined and contributed to the space. I’ve got a couple of quick book thoughts. Longtime Washington Wizards’ owner Abe Pollin died earlier this week at age 85. He is a minor character in When Nothing Else Matters, Michael Leahy’s highly unflattering portrait of Michael Jordan, the man generally considered by many to be the greatest basketball player ever lived. I recently finished Dart Fellow and Pulitzer Prize winner Amy Dockser Marcus’ Jerusalem 1913, an intriguing look at the waning days of the Ottoman Empire that suggests how the current Arab-Israeli conflict might have turned out differently. 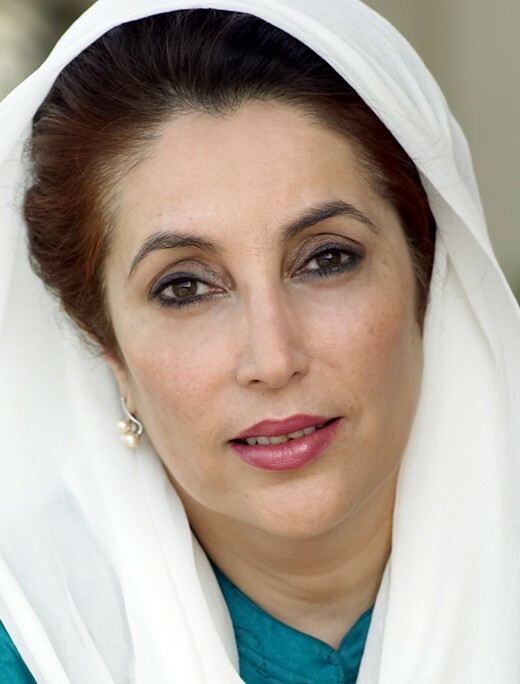 And yesterday I completed the late Benazir Bhutto’s Reconciliation. Written after her dramatic return to her native Pakistan and right before her assassination two years ago, the book is an effort to bridge the chasm of understanding between the Western and Muslim worlds. Bhutto takes on the legacy of Western colonialism and the current war in Iraq as well as Muslim extremists. It's only fitting that the late, great David Halberstam wrote my favorite book about Michael Jordan. The middle of David Halberstam’s Playing for Keeps: Michael Jordan and the World He Made contains a revealing anecdote about Celtics superstar Larry Bird. Boston Globe sportswriter Bob Ryan asked Bird what he thought about Bruce Springsteen. “Larry, he’s the you of rock,” Ryan replied. Intrigued, Bird learned more about the legendary Jersey rocker and even attended a concert. While he did not particularly enjoy the music, he respected how hard Springsteen worked-something that he could tell by the volume of sweat he generated. In a similar way, I imagine that the late, great Halberstam recognized something of himself during the process of writing about Jordan. Both men struggled in adolescence before finding the professional passions that drove them. Both loved basketball deeply and had a special place inside themselves reserved for baseball. Both worked relentlessly at their craft. And both did work early in the career that defined an era, but then built on that work in the following months and years to establish a nearly unmatched legacy. There are differences, too, between the two men. Jordan ranks higher in the pantheon of basketball gods than Halberstam does in journalism. Halberstam never retired, while Jordan left the game twice, once at the height of his powers, and again after the Bulls’ second ‘three-peat’ in 1998. Jordan’s global celebrity and conscious marketing of his ‘brand’-a main subject of both of the books by him about him-are also distinctive. Still, there must have been a sense in which Halberstam felt that he was writing about someone whom he understood. Playing for Keeps, which is a retrospective look at Jordan’s life, career and global economic impact-Halberstam estimates that it’s in the billions of dollars-all make for the most comprehensive book written about Jordan, and my favorite of the ones I’ve read. Impeccably thorough in his research, Halberstam also has the benefit of being able to trace the arc of Jordan’s career before his final forgettable comeback with the Washington Wizards that was the subject of Michael Leahy’s When Nothing Else Matters. Halberstam takes a far more respectful, even admiring tone, toward his subject than Leahy, and the book has a more respectful, even admiring feel, toward its subject. Halberstam effectively moves the narrative back and forward in time, writing extensively of course about Jordan, but also about coach Phil Jackson, Bird and rival Magic Johnson. Dream Team fans will get a kick out of the description of the legendary scrimmage between Jordan and Johnson’s teams in Monte Carlo. While no one agrees about who talked the first trash-some say Johnson, while others say it was Charles Barkley-all agree that Jordan took over and dominated with a frenzy that left no doubt both about the result and about the team’s true leader from that point on. Playing for Keeps ends with Jordan’s final championship winning shot-one that Pistons coach Chuck Daly had predicted-against the Utah Jazz. While hoops junkies may not find this book as rich or appealing as Halberstam’s classic The Breaks of the Game, it is more than adequate to reach the top of my Jordan book list. As Bulls fan know, one of Michael Jordan’s top 20 games is better than just about anything else anyone has to offer. Have fun, and enjoy tomorrow’s induction.